I’m really excited to announce, that the audio version of Shallow Waters has been released! I’m also thrilled with the narrator that Audible chose for the book, Colleen Prendergast. She has narrated books for crime authors, Mandasue Heller, Louise Douglas and Belinda Bauer to name but only a few. She is absolutely brilliant and I am over the moon. If you click on either of the below links there is an Audible sample button below the cover image. It’s chapter 2. Have a listen to it. I love it! Colleen has done an incredible job. 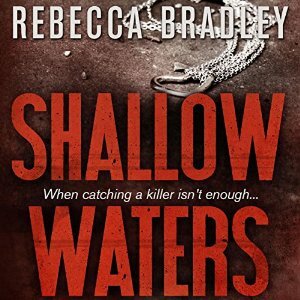 To celebrate the release of the audio version of Shallow Waters I am going to give away one copy to someone who comments on this post. I will leave the post running for a week and keep sharing it on social media and then use a random online number generator to choose a number and whichever number it chooses, the relevant commenter will earn themselves an audio copy of Shallow Waters! What are you waiting for? Leave me a comment! Do you listen to audio books? If so, when are you most likely to listen to them? < Previous How Do You Manage Your Creativity? I can’t find an Audible Sample button, but I am delighted for you nevertheless! Well done! I tend to listen when I’m doing something else like ironing etc. Congratulations Rebecca, how exciting to have the audio book released. I’m hearing more & more people say how much they enjoy listening to books or even buying both the print/e-book AND audio. Thanks Tracey. I’m thrilled and yes, it does seem to be a growing area of reading. Congratulations! Must be so cool to hear someone reading your book. Thanks Alex. It does feel pretty good and Colleen does a fab job. I am reading Shallow Waters at the moment, on my kindle, and loving it. It is fun hearing someone read your story out loud, congrats. I wish you much success with your books in all formats. Thanks Jane. I hope you enjoy it! Congratulations Rebecca! I’m so happy for you. 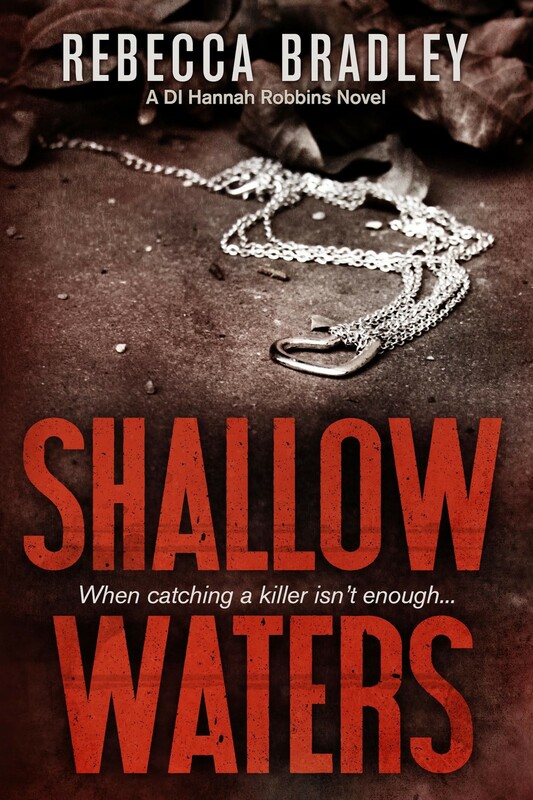 I read Shallow Waters on the day it was released and absolutely loved it. Wishing you all the best with your books! How exciting! I do listen to a lot of audiobooks. I listen in the car and while I’m walking at the gym and as I’m going about my daily chores around my home. I’m fairly addicted to them. Last year, almost half of my listening was in audio format. I clicked and listened a bit to the sample – it’s well done and the narrator has a pleasant way of speaking – so important to me. So happy for you, Rebecca. I listen to a lot of podcasts and listened to them on the way to work in the car when I travelled. I’m new to audio but they are great for ease of listening when you’re moving aren’t they? Congrats, Rebecca. This is so exciting. Don’t include me in the raffle because I read the print book–which was wonderful. Good work Rebecca! I originally joined Audible to download books to listen to the gym and it has been thoroughly worthwhile. Mum is 67 and cares for my nieces so she doesn’t get very much time to read so now she listens when ironing or doing housework etc.. I have found it very good value and at first I thought it would cost a bomb but there are special deals and sales regularly and every day there is a title on Daily Deal which you can buy for £1.99 or £2.99. Now I get all my favourite books on audio too! My nieces get car sick and cannot read when travelling so I get the kids Audible books and put them onto CD for my sister to play in the car (she says Horrid Henry gives her a headache)! Currently listening to In Bitter Chill by Sarah Ward and a truly wonderful narrator really bringing Bampton and the characters to life. On Audible make sure you listen to the sample and listen to the narrator as the quality does differ. I have listened to some great books on audio and a monotone, unengaged narrator can make it feel like a living hell! I think the gym is a great place to listen to audio and as for the kids listening, I think that’s great! I listened to audio cassettes as a child. Only a couple as they weren’t as popular, but I did have a couple I enjoyed. Update.. Just bought it and a cracking price! Thank you Rachel! I hope you enjoy it. Congrats Rebecca, I love audio books and I’m sure this will be fab. Thanks Caroline. Colleen has done such a fab job. I think my diesel costs are about to double because I have spent half the afternoon driving around the Vale so I could keep listening! The perfect refresher before the 2nd installment which I hope will be out very soon, partially so I can stop nagging…..
Congratulations on the release of your Audible version of your novel. The book sounds great, but the way! I’ve really got into listening to books this past year. It’s great while I cook! I listen to audiobooks in the evening whilst I craft – love listening to a good story! They do seem to be becoming more popular and great for listening to while doing another activity. Thanks Derek. Sorry you didn’t win this time but there will be more opportunities in the coming weeks. It’s helped by the fact that I worked as a detective and in the area of child protection before I left. Thank you. Colleen has done a great job hasn’t she?! When I am driving long distance which I do for my job. I don’t listen to them very often – it tends to be on long journeys to the In-Laws! Congrats on the birth of your series! Would love to listen to the audio version. Congratulations! to Chataboutbooks and thank you to everyone who commented. This isn’t the only copy of the audiobook I have to giveaway so keep your eyes peeled around social media in the coming days and weeks and there will be another chance coming up. It’s a great version and well worth having.